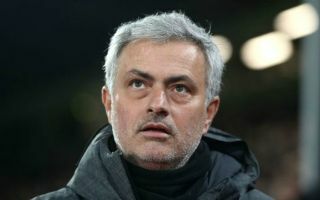 Manchester United manager Jose Mourinho has insisted that Tottenham should get the same treatment for back-to-back defeats that his team did in the media. The Red Devils lost two successive league games against Brighton and Spurs in August and were criticised by reporters throughout the country for their inept displays in both matches. The Portuguese boss even had to field questions about his future at Old Trafford, despite the fact that the new Premier League campaign remains very much in its infancy. Wins against Burnley and Watford either side of the international break have eased the pressure on Mourinho and his players for now, with a Champions League group stage opener against Young Boys on Wednesday next on the agenda for the club. Another English outfit making their return to the European stage this week is Spurs, who are set to face Inter Milan on Tuesday. They will travel to the San Siro off the back of two consecutive league defeats against Watford and Liverpool, but they have so far managed to avoid an onslaught of negative press. According to The Express, Mourinho believes that the media should now be turning their attention to Tottenham’s recent woes, given the fact that he and his team have had to endure the spotlight during their difficult spell, as he told reporters: “Tottenham have now lost two straight. United resume the Premier League crusade on Saturday against newly promoted Wolves at Old Trafford, where they will be expected to pick up another three points in front of their own fans. Spurs meanwhile, face a difficult trip to Brighton on the South Coast, where Mauricio Pochettino will be desperate for his team to avoid another defeat as they bid to keep pace with the early leaders at the top of the table.